Big Sky, Montana offers a wide variety of fun and relaxing summer activities for everyone. Fly fishing is the most popular summer activity with our renters. Big Sky is centrally located to three of the top trout streams in the U.S.—the Gallatin, Madison, and Yellowstone Rivers. The world-famous blue-ribbon Gallatin River is so close that you can see it, hear it, and almost feel it from your back deck! We work with local fishing guides, such as Bryce Connery of Lone Peak Outfitters. 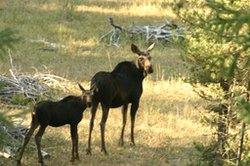 Another very popular summer activity is touring Yellowstone National Park, only 45 minutes south of Big Sky. Ask us about tours or recommendations for spending your time wisely in the Park. The nearby rivers provide great access for white-water rafting, kayaking, and canoeing enthusiasts. You are just minutes away from multiple whitewater expedition companies. The Gallatin National forest offers a wealth of maintained hiking trails for those who want to venture into the wilderness. 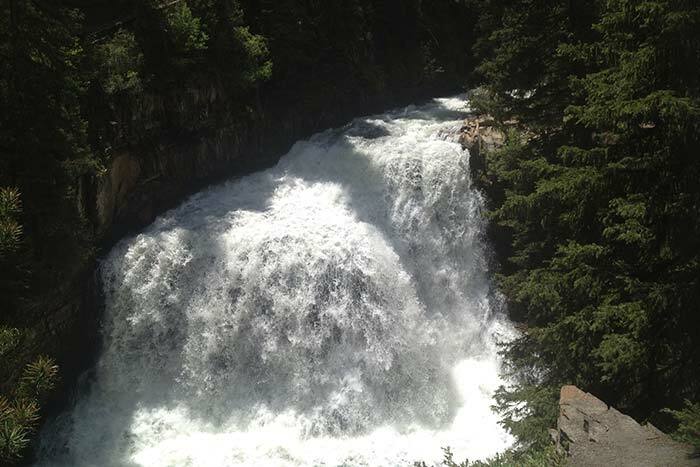 Ousel Falls is a favorite among visitors and is just a short drive from the cabin. If you’d rather try your luck golfing, the Arnold Palmer Signature Big Sky Golf Course is minutes from cabin. Big Sky offers the perfect climate for a day of golfing on on the beautiful, lush greens. Don't forget, balls travel farther at high altitude! After a full day of activity, dine at one of the many local restaurants. Choose from pizza, sports bars, Asian cuisine or a brew pub all the way to fine dining at Rainbow Ranch, 320 Guest Ranch or the Timbers at Moonlight Basin. Ousel Falls, just a short drive from the cabin.